For most of the last two years I have been exploring, training and achieving certification as a Scott Kiloby Living Inquires Mindfulness Facilitator. This year I have been called in several days a week to work with clients in person and online at the mindfulness based Kiloby Recovery Center in Palm Springs. The inquiry process takes us to a place of deep rest and connection – and from that safe place of resting awareness we look at and dissolve the seemingly solid and real and stuck-together memories, thoughts, words, pictures and associated emotional sensations that block us from our sense of peace. My certification process has required a long intensive training including hundreds of inquiry sessions — half as the facilitator, half to clear out my own obstacles to freedom. I’ve worked with spiritual seekers in Bali and Greece, therapists in Chicago and California, and alcoholics in Los Angeles and the Faeroe Islands. There have been tears and laughter as both I and the folks I have worked with have been released from the iron grip of many old beliefs. Most of these sessions are face to face using Skype, but this year I have been called in to work for over fifty days with clients at the Kiloby Center. And in one recent session in my home office the client was freed from debilitating compulsion that he had struggled with for decades. The work attracted me because Scott Kiloby was a recovering alcoholic who had a major spiritual awakening (you can see his books on Amazon) – but noticed that he (and many other spiritual teachers) still had some pretty whacky behaviors. He developed this technique to directly look at and continue to clean up those beliefs and behaviors. I also love the quality and integrity of Scott and all the folks I have met in his organization. This will give you an idea of the magic of this powerful technique for dissolving the power of our negative stories, beliefs, fears, compulsions and patterns of behavior. Remuneration for the inquiries is usually flexible with an introduction and a first session free – and a suggested donation for additional sessions. Training in ongoing self-inquiry is also included. Living life as an adventure, not as a trial — one breath at a time. My bio or story describes some of my personal adventures and explorations on planet earth — how to live life with a sense of fun and curiosity. The best view I have found so far starts with a deep sense that I am actually an infinite spiritual being that is having a creative human experience — an extension of Source energy. In growing up I become so embedded/ fascinated/ frightened with this physical world I totally forgot my connection with my True Self; I became convinced I was this vulnerable separate mind and body called Carter. This website is dedicated to discovering views and practices that help us reestablish or remember our True Selves and the true joy it can bring to every moment of our lives. 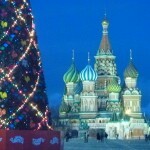 Russia Blogs. In the fall and winter of 2010, my wife Franny and I went to Germany and Russia to help build out a new theater in St. Petersburg. I wrote a series of blogs on that adventure. Accelerating Evolution Accelerating Evolution (AE) of Integral Consciousness How insight into our amazing creative past can open us to an integral enlightened future.